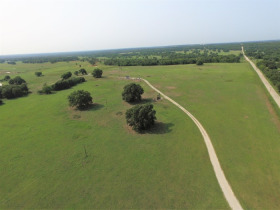 The Offields have operated a successful cutting horse and cattle ranch in these valleys surrounding the Walnut Creek Bayou for over 40 years. 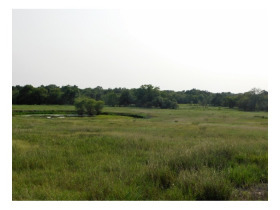 The Ranch runs two and a half miles along the creek consisting of creek bottoms, rolling hills and upper flat land. 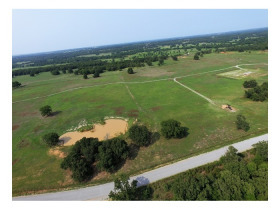 Most of the work has been done to provide a mixture of Native and Bermuda grasses with large Pecan Oak and walnut Trees with enough brushy areas to provide a hunter’s paradise. Deer, Turkey, Quail and other game are abundant on all areas of the ranch. The running creek and stocked ponds provide stock water plus fishing.  Tract 1: 14 +/- acres located south on Texaco Rd to Conoco Rd Paved road to property. Nice building sight with a pond. Tract 2: 35+/- acres located south on Texaco Rd to Conoco Rd has a small well sight on the front. Nice roads will lead you to an open grass land that has potential for building sight or running livestock. Pond located at the north end of the property. 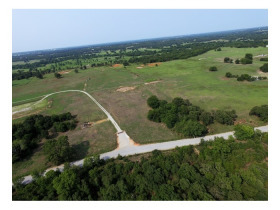 Tract 3: 28+/- acres located south on Texaco Rd to Conoco rd. Nice grass tract with pond. Water well and electric is established on this tract. 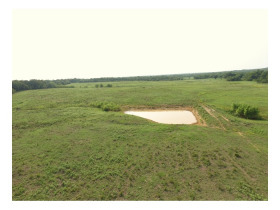 Tract 4: 76 +/- acres on the corner of Texaco Rd and Conoco Rd - Cattle working metal pens and a nice large pond with gravel roads that are assessable through the property. Tract 5: 19 +/- acres south on Texaco Rd located on the east side. Has a tank battery lease $2500 per year income that will transfer with property. Has a 120 feet water well w/ approx.45 gallons per min. Building sight with electricity. Tract 6: 108 +/- acres south on Texaco Rd contains The Ringling Rail Road Bridge 240-foot-long over Walnut bayou creek. Nice pond stocked with catfish, running stream. 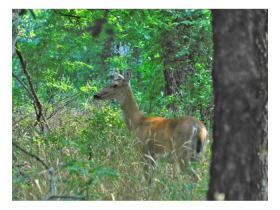 Abundant Pecan and walnut trees and great wildlife habitat. Tract 7: 68 +/- acres south on Texaco Rd Running stream with also a road lease income of $1000 per year from the Willford Oil Com. Also, another road lease that the Kenigery Oil Company pays $750 per year. Excellent wildlife habitat here as well. 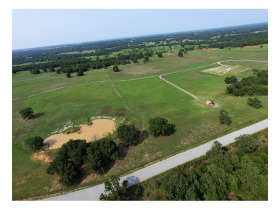 Tract 8: 251 +/- acres South on Texaco Rd This property has a live stream that runs down the middle providing great recreation and enjoyment.NOTE-Lease road has an income paid Yearly of $ 750 from Kenigery Oil Company to the land owner. 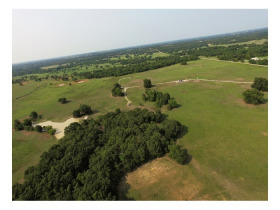 Wildlife habitat and native and Bermuda grass gives this big acreage lots of possibilities. 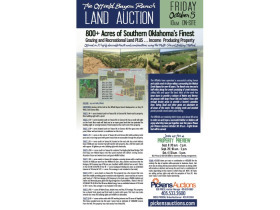 Tract 9: 160 +/- acres of Native Grass, Shade trees and Hwy 70 frontage. This property has a shared front gravel road that leads to metal cattle pens. 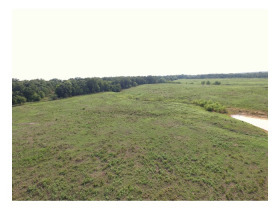 This Tract over looks several nice areas for building sights and wildlife are abundant. All 10 Tracts are unique as standalone tracts and would combine several ways to make a nice ranch or country getaway. Some great building sights and some of Southern Oklahoma’s finest hunting on most if not all of these tracts. Several of these tracts have cattle working pens, stocked ponds, electricity and many more amenities to numerous to mention here. Good fences and paved road access that will make one fall in love with this unique setting.